Amir J. Heydari, M.D., F.A.C.S. Dr. Amir Heydari is passionate in his belief that the disease of obesity and the alarming rise in individuals who are overweight demand the attention and expertise of medical specialists to treat this serious health condition from both a surgical and non-surgical approach. Dr. Heydari is a member of the Fellow of the American College of Surgeons and the American Medical Association. He is a practicing board certified, general, bariatric, oncologic and laparoscopic surgeon. Dr. Heydari holds the distinguished position as Medical Director of Centegra’s Weight Loss Surgery Center and Weight Loss Institute. Having performed over 2,000 bariatric surgeries to date, he was instrumental in starting the bariatric program at Centegra as well as securing the distinction of being awarded the Center of Excellence as a bariatric surgical site. Dr. Heydari is a member of the American Society for Metabolic and Bariatric Surgeons and board eligible for the American Society of Bariatric Physicians. He has held privileges for the last 20 years at Northern Illinois Medical Center, Memorial Medical Center and Advocate Good Shepherd Hospitals. He has served in a variety of medical staff positions, including the Chairman of the Cancer Committee, Chairman of Department of Surgery, President of Medical Staff, and board member on the Board of Governors of Centegra Health Systems. Dr. Heydari also holds a faculty position at Rosalind Franklin Medical School. Here he dedicates time to mentoring medical students and has received multiple teaching awards for his work. Dr. Heydari received his Medical Doctor degree from the University of Colorado Health Science Center, in 1990, while holding the position of Class President for three consecutive years. He completed his internship and General Surgical Residency at the University of Iowa, Hospitals and Clinics, where he served as Chief Administrative Resident in 1995. While at the University of Iowa, he trained under Dr. Edward E. Mason, the father of Bariatric Surgery, and pioneer of operations such as Gastric Bypass and Vertical Banded Gastroplasty (VBG). Among his many awards, are included the two he is most proud of: The Edward E. Mason Award, and Teacher of the Year Award. Over the past 15 years, Dr. Heydari has dedicated a great part of his practice to minimally invasive bariatric weight loss surgeries, and care of overweight patients. Due to his commitment and strong conviction towards winning the battle of being overweight, he has expanded his bariatric surgical practice to include non-surgical weight loss at Heydari Health Center in Crystal Lake, Illinois. At his Crystal Lake weight loss location, Dr. Heydari medically-manages weight loss programs that keep the weight off by preserving lean muscle mass and reducing the unhealthy stored fat for patients who do not qualify for bariatric surgery. Additionally, he medically manages the weight loss mandated by insurance to qualify for surgical weight loss. 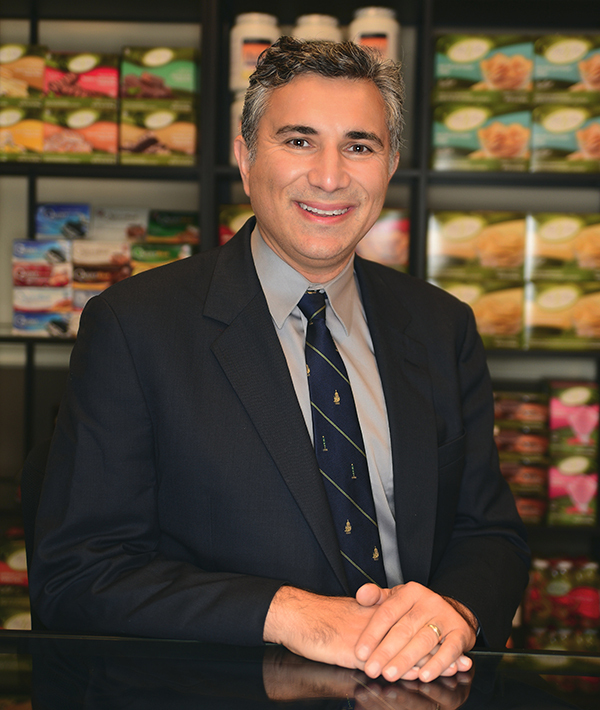 Dr. Heydari is committed to patient care and a compassionate advocate for your health and weight loss goals.